The following biography of Jerome Cooley was written by Mr. Cooley himself and appeared in his 1922 self-published book Recollections of the Early Days in Duluth, a rather entertaining but often unreliable history of Duluth’s pioneer years that is available at the Duluth Public Library. Jerome Eugene Cooley is of English descent. His great-great-grandfather arrived in Massachusetts from England in the year 1690. Mr. Cooley’s grandfather, Benjamin Cooley, deserves a word, since he shows the sort of block from which our historian was chipped. Benjamin Cooley was born in Massachusetts, but moved to the vicinity of Albany when that capitol city and political pool marked the outskirts of civilization. The early years of Benjamin Cooley’s life were passed in true pioneer fashion. For those were the times when men learned by doing, and while doing. Misfortune was sure to get any laggard that didn’t hustle. The grandfather of Duluth’s historian hustled so well that when later he engaged in lumbering on the Susquehanna River, in Delaware County, he became a man of wealth. The village of Cooley, in Sullivan County, New York, commemorates the historian’s grandpaternal name. Perhaps the grandfather himself? When, in 1816, Benjamin Cooley moved to the western part of New York, he was the richest man in that part of the country. He had fourteen hundred dollars spot cash, the spot being the hip pocket, the most popular bank in those days. With this vast sum, Uncle Ben Cooley bought a farm and built a sawmill, which illustrates how much a dollar could do a hundred years ago. Products of mill and farm were taken “down north” to Castile, Mi. Morris, Geneseo, Mosco and other towns in northeastern New York. The pioneer’s family eventually numbered seven—two girls and five boys. In 1916 the descendants of this hardy New Yorker celebrated the centenary of his westward migration from Delaware County to Alleghany County. For the anniversary Duluth’s historian furnished a genealogical record of the family of Alfred Cooley, the third child in Benjamin’s flock. Alfred Cooley had four sons by his wife Nancy Kingsley Cooley, the second being Jerome Eugene. Alfred Cooley acquired possession of the pioneer farmstead by purchasing the rights of the other heirs and finished his life in the familiar surroundings of his childhood. Jerome Eugene was born in Hume (perhaps he got his literary bent from the great Scottish historian and philosopher, David Hume? ), Alleghany County, New York, on October 26, 1844. His name hints a Bonapartist leaning somewhere. His education was of the famous little red schoolhouse brand, topped off with work at the seminary in the village of Pike, Wyoming County, N. Y. His first stop was Minneapolis, where he promptly engaged in the lumber business. After three years of Twin City life, he started toward the Twin Ports, with a stop-over at Hinckley of about two and one-half years. While yet a citizen of Hinckley, the young bustling sawmill operator of twenty-six found time to follow his heart back to Minneapolis where, on May 12, 1870, he entrusted it to the permanent keeping of Miss Ella M. Barrows. He next moved about thirty-five miles nearer Duluth, and started a new town. He first cleared the land of jack pine and blueberry bushes, dammed the Grindstone River, built a residence for himself and a boarding house for his employees of lumber imported from Hinckley, and at last got a sawmill erected which employed twenty-five men. William Oliver was his mill foreman. Discussing a name for the new village, the men suggested Cooley, but in a week or so word came from St. Paul that the railroad had christened the infant village in honor of George Barnum, paymaster of the road. The Barnum mill furnished some lumber for the dike in Duluth Bay. In the spring of 1873 Mr. Cooley moved to Duluth. Here he has remained, surviving the northeasters and the hill-climbing of over fifty years’ continuous residence. Mr. Cooley’s memories of Duluth begin in 1871, while he was still a resident of Hinckley. On July 4th of that year he made an excursion to Duluth to celebrate with other patriotic young bloods of the lake region. It is said that his life-long palship with John Perkins (“Perky”) Johnson began on that festive date. The number of vessels arriving in port that year were 158! The population was 3,131 of which 1,865 were foreigners! When Mr. Cooley moved his family to Duluth, almost three years later, the population promptly jumped to over five thousand, lake tonnage more than doubled because he had gone into the fish business, and a blast furnace, thriving on hot air, started operation in November 1873, boasting an annual production of 6500 tons. So, ever since his removal to Duluth, Mr. Cooley has been identified with the city’s development and growth. His civic services have been many. When Duluth was endeavoring to compromise her bonded debt in 1879, Mr. Cooley was elected city treasurer and did what he could to help the struggling metropolis to get on her financial feet. In 1889 he was elected city assessor and served seven years. 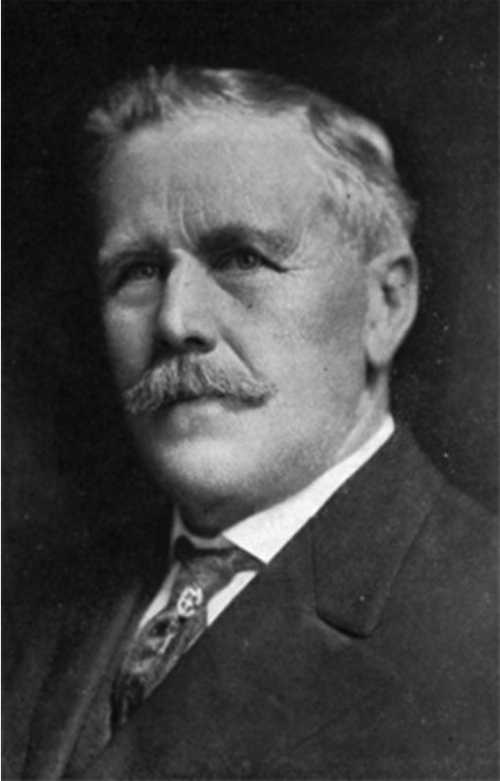 Governor McGill appointed him a member, of the State Board of Equalization, which office he held for twenty-one years, from 1891 to 1912. He adopted the politics of his ancestors and voted Republican, as one gathers from his several little friendly gibes at his opponents. He joined the Masonic order in 1879 and has held many important positions in the various bodies. He has been Master of Palestine Lodge No. 79, Master of Duluth Council No.4, Grand High Priest of the Royal Arch Chapter, Grand Master of the Council of State and General Grand Master of the Council for Minnesota. He was Secretary of the Scottish Rite bodies for twenty-one years. He is a 33rd degree Mason in the Scottish Rite, the highest attainable, which makes him a member of the Supreme Council at Washington, D. C.
The Old Settlers’ Association, The St. Louis County Historical Society, the Chamber of Commerce and the First Methodist Episcopal Church all carry him on their roster of members. Four of his six living children are residents of Duluth: Jessie L. Wessinger, Alice N. Wood, Perkins J. Cooley and Leon W. Cooley. Mr. Cooley’s long residence in Duluth entitles him to the consideration of his coevals and the respect of all junior citizens. He knows the virtues and failings, the ups and downs, the ins and outs of his pioneer associates, not merely by hearsay, or even by observation and experience, but through the interpretive faculty of kindly good-fellowship and understanding. Frequently the recital takes on a Homeric sweep and dignity as some local Achilles, or Paris, or Helen of Troy passes before our eyes. The same indomitable qualities that made Athens a power in the golden age of Greece inspired the founders of Duluth to carve their city into the forbidding hillside. If at times the reader is inclined to suspect that the original citizenry of Duluth was a bit boisterous, or even downright tough, let him consider the extenuating factors and be ready to drape the mantle of charity over the primitive human nature that occasionally crops out. For Duluth was a border town, a lake port, a sawmill settlement, an Indian agency, a mining outpost and a fishing hamlet, six in one! And with all respect to these various vocations, they do demand men with ready fists, staunch rather than courtly and sturdy rather than refined. Nature is never kind to weaklings, and it is the history of civilization that whenever man goes forth to conquer Nature, he puts on a swashbuckling swagger designed to browbeat his stern old step-dame into giving him what he demands. Too, Volstead had not yet become active and infant Duluth at her worst was no worse than her contemporaries the country over. During the last half-century, the whole nation has taken on a veneer of culture, culture undreamed of and even impossible at the time Duluth was a-borning. A man who executes a thirty-mile hike through a primeval Minnesota forest on nothing but hash composed solely of bacon rinds and coffee grounds, or a citizen content to gnaw fish-bones for sustenance, has demonstrated a hardy physique and a sturdy morale that we late comers should ponder with humility. If a swig of something cheering and even inebriating made the lean repast more endurable, warmed frostbitten toes or cooled sunburned noses, shortened the long winter or lengthened the short summer, present day Duluthians are not justified in envying their predecessors such consoling perquisites, or in assuming a holier-than-thou attitude of mind. Rather, let us imitate the friendly, neighborly spirit of our historian which gives his reminiscences the mellow glow of a family chronicle told by the firelight as bedtime creeps on.